Formed in 2016 in the run up to the EU referendum, Keep It Complex: Make it Clear is a loose collective of London-based artists and cultural workers. 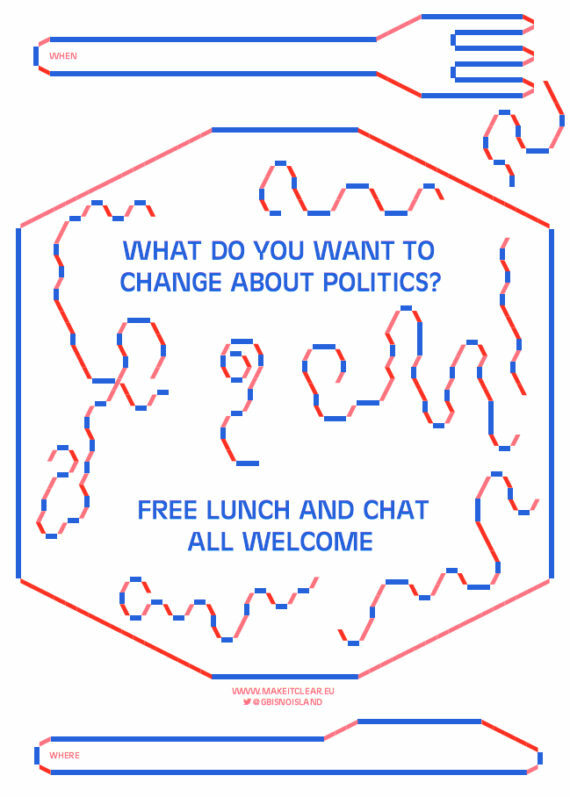 Its members aim to challenge apathy and fear by providing people with ‘tools and ideas to get involved with everyday politics’. Lydia Ashman reflects on the ways in which the group use their skills and networks as artists to facilitate conversation in a divided world.